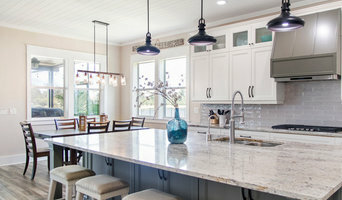 Antoinette Unique Interiors is a well established Florida State Licensed Interior Design business that specializes in full turnkey construction and decorating services. Lauren Leonard Interiors, LLC is a full service design firm that specializes in blending traditional design with modern elements to bring a fresh aesthetic to our client's interiors. Our ultimate goal is to exceed our clients expectations by producing interiors that reflect the homeowners personal style. For the past 15 years, I have honed my skills in Florida through residential, commercial, and yacht design which has included new construction, renovation, and decor. We aim to be your unique source for everything you need to complete your home. You'll find a diverse combination of custom cabinets, fixtures, furniture, accessories and interior design services. Brian Scott Ellison is a multidisciplinary designer who began his career at Restoration Hardware corporate offices in San Francisco as a lead designer working with the nation's taste makers. Michelle Walsh Designs creates with the customer in mind. The team consistently produces looks that are clean and polished, while keeping the aesthetic of the client a priority. By working with local woodworkers and painters, they are able to provide original designs based on the needs of the space; without limitations. Based in Jacksonville, they accommodate much of Northeast Florida, as well as online design services. Michelle Walsh Designs was noticed as "Best Of Houzz" in 2015, 2016, 2017, 2018, featured in the R.A.P. Home Tour several times, as well as regular headlining speakers at the Jacksonville Home and Patio show. CSR Interiors Inc. is a full service interior design firm offering customized design solutions and luxury turn key installations for discerning residential clients. Constance Riik Principal/Owner Allied, ASID (American Society of Interior Designers) Past President, ASID Florida North Chapter 2013/2014 & 2015/2015 Our design services include: * Construction specification and selections * Project management and coordination with architect and contractor * Plan review, space planning and furniture plans * Design consultation * Home furnishings selections •Specification and purchasing. •Kitchen and bath design •Custom built - ins and interior mill work details. •Existing and new construction •Remodels and additions •Outdoor living areas •Exterior finish selections Areas Served: Jacksonville, Jacksonville Beach, Ponte Vedra Beach, Atlantic Beach, Neptune Beach and beyond.